Hulu is supposedly opening up shop tomorrow to the general public, at least in the United States. After nearly five months in an escalating private beta, it’s time to take stock of what it does well, what it doesn’t do well, and what I think is its Achilles Heel. Hulu remains free, legal content to viewers, albeit ad-supported. From what many in the industry have said, Hulu’s ad strategy is flexible to advertisers and palatable to viewers. For the advertisers: They like professional (predictable) content, unlike the user-generated fare found on YouTube (unpredictable). During certain shows, viewers will be able to choose which commercial they want to watch — an ad for Nissan’s Rogue SUV, Maxima sedan, or Z sports car, for example. For consumers: You can watch an episode of NBC’s “The Office” and sit through only 25 percent of the ads you’d see on the network. Hulu, the site, is not cluttered with ads and unnecessary features screaming for your attention. The user interface is pleasant, easy to use, and the video quality is very good. Hulu also offers 100 full-length feature films, including “The Big Lebowski,” “Some Like It Hot”, and “Mulholland Dr.” It’s not Netflix or even iTunes, but it’s not bad for free movies over the Internet. Hulu also launches with Warner Bros. TV group and Lionsgate on board. Speaking of NBC and Fox, other networks and entertainment companies providing content include, among others, Bravo, E!, SciFi, USA Network, Sony Pictures, and Metro-Goldwyn-Mayer. Hulu’s content is also distributed elsewhere on the Internet through partners AOL, Comcast, MSN, MySpace, and Yahoo. 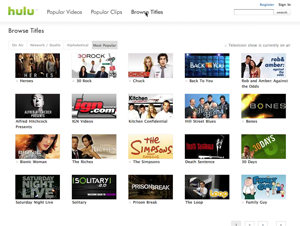 More than 5,000 Web sites have embedded clips from Hulu. Five million viewers have used Hulu (according to Hulu) in the past 30 days, including videos watched on the above partner sites. Some 80 percent of Hulu’s entire video library is viewed every seven days, according to the Hulu folks. All of this is good, very good, in fact. But — there’s always a “but” — Hulu does have it’s bad side. So far, Hulu’s network lineup is missing a few big players — CBS and Walt Disney’s ABC, although both are rumored to be in negotiations with Hulu. We’ll see. While the advertising structure seems good for both content partners and viewers, there is one sticking point that seems to be an issue with CBS and maybe ABC. 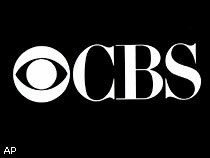 Content providers like CBS must give up 30 percent of its ad revenue from Hulu, which CBS doesn’t want to do as it syndicates its programs all over the Internet. It provides programming, for example, to Bebo and gives up no ad revenue. Bebo is happy to have the content and build a business around it (Silicon Alley Insider). The Silicon Alley Insider also has a list of issues in its post “Hulu: Great Product, Still Screwed” that I won’t go into now. But you can read it here. You can’t download content to distribute it through the home via media extenders, or load the programming onto a portable device like an iPod video or Archos portable players. For some folks, watching TV on a small computer screen is still undesirable. All in all, though, the good seems to outweigh the bad. But, to me, here’s the deciding factor whether Hulu will be successful or not: content and how it’s managed. In theory, a network or studio could make all of its content available for what I call Cloud Entertainment. We know that’s not feasible, at least not yet, to put everything on the Internet. The networks and studios are going to select the programs and films they think people will want to watch online. But how are these decisions made? Why include four episodes from Battlestar Galactica’s second season but not all the shows? For those who want to go back to the beginning, where’s season one? Why are there 11 episodes of “24” on Hulu, beginning with episode 18 of the first season? Why do episodes appear, then disappear? How can viewers keep track of what’s been on Hulu, what’s coming, or when something will be taken off? Ironically, it’s almost like Hulu needs a schedule of some sort or RSS notification, but isn’t that like what we already have with network TV? Shouldn’t we be able to go to Hulu to watch all of the first season of “30 Rock”? It’s obvious the networks want to protect DVD and Web download sales, but aren’t there three kinds of viewers here? There are those who will never buy expensive boxed sets of TV shows (preferring to watch these on the Internet), those who will spend the coin (preferring to own complete collections to watch in front of a large-screen TV), and those who want convenience and portability (paying for digital downloads). Excellent observations Daniel, and here’s another one for “The Good” column – Hulu’s embedding model. Although YouTube and myspace got on the embedding bandwagon, I see it primarily used for the “Hey, look at this cool clip, dude” and “Take a look at what I made!” amateur audience, which provides a moment of amusement but is quickly discarded and forgotten in a world of sensory overload. Hulu brings with it a new level of quality, and I foresee the emergence of a new generation of content partnering, which ultimately will be what drive’s Hulu’s success by extending frequency and reach into all corners of the internet. I cite one reason I think the old Airwolf show emerged at the top of the ratings – http://series.airwolf.tv (part of fan site http://www.airwolf.tv) – which delivers the content directly to those who are most inclined to take an interest and pairs it with extra content that keeps the visitor’s attention long enough to score a residual for all involved. This, I think, is the real value of what Hulu offers, and will drive an increasing amount of content as website authors continue to figure out how to leverage Hulu for mutual benefit. Great analysis Daniel. Is Kilar speaking the truth? If I remember correctly CBS, ABC, etc. have had their full streaming long before Hulu – not to mention AOL’s In2TV.